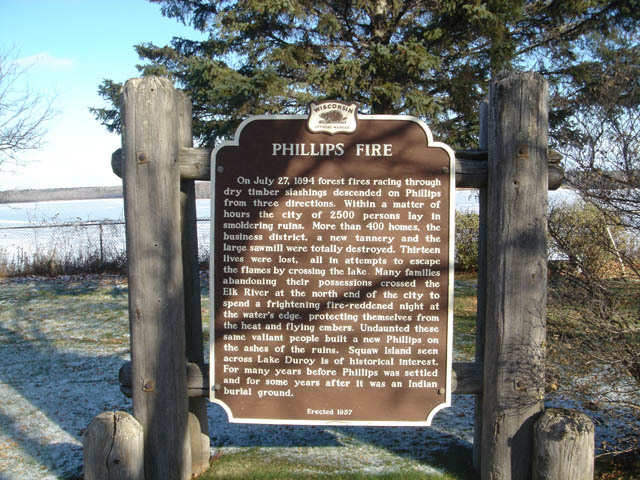 Located North side Hwy 13 & Walnut St. Phillips, WI Coordinates Lat N 45:41':228" Lon W -90:23':598"
On July 27, 1894 forest fires racing through dry timber slashings descended on Phillips from three directions. Within a matter of hours the city of 2500 persons lay in smoldering ruins. More than 400 homes, the business district, a new tannery and the large sawmill were totally destroyed. Thirteen lives were lost, all in attempts to escape the flames by crossing the lake. Many families abandoning their possessions crossed the Elk River at the north end of the city to spend a frightening fire-reddened night at the water's edge protecting themselves from the heat and flying embers. Undaunted these same valiant people built a new Phillips. on the ashes of the ruins. 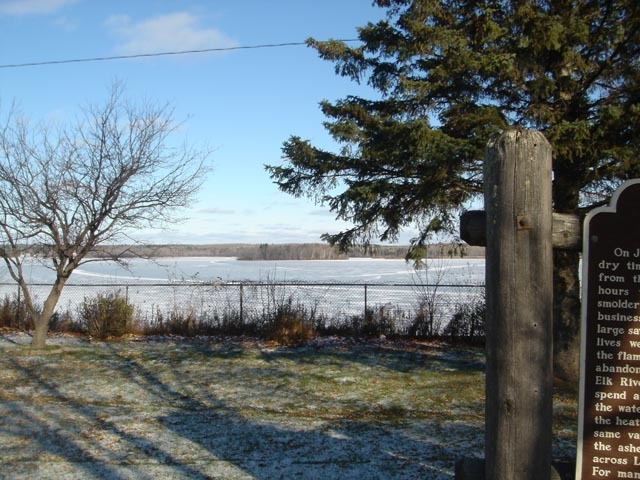 Squaw Island seen across Lake Duroy is of historical interest. 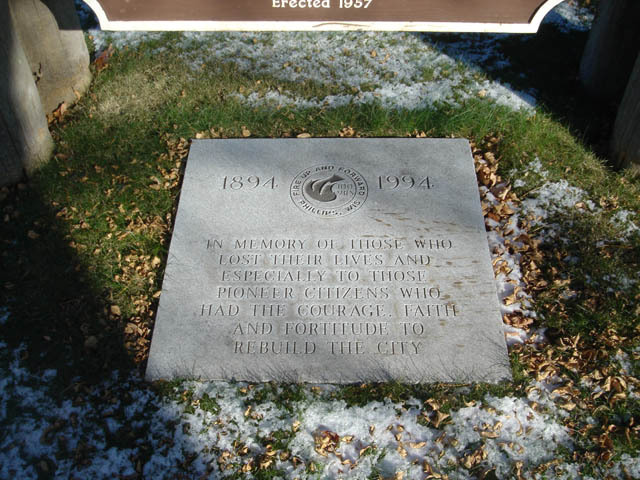 For many years before Phillips was settled and for some years after it was an Indian burial ground.